Valencia (Spain) (AFP) - Andy Murray saved five match points to win his third title in the past month by beating Tommy Robredo 3-6, 7-6 (9/7), 7-6 (10/8) in a marathon Valencia Open final on Sunday. Murray had also saved five match points to beat Robredo in the final in Shenzhen last month, but appeared to be suffering from the exertions of playing his 20th match in 28 days when he dropped the first set. However, the Scot somehow ground out the victory as he saved match points in both tie-breaks in the second and third sets to seal his 31st career title in the longest ATP final of the year after three hours and 19 minutes. Victory is also a huge boost to Murray's hopes of making the ATP World Tour finals as he moves up to fifth in the Race to London standings with just the Paris Masters next week to come. 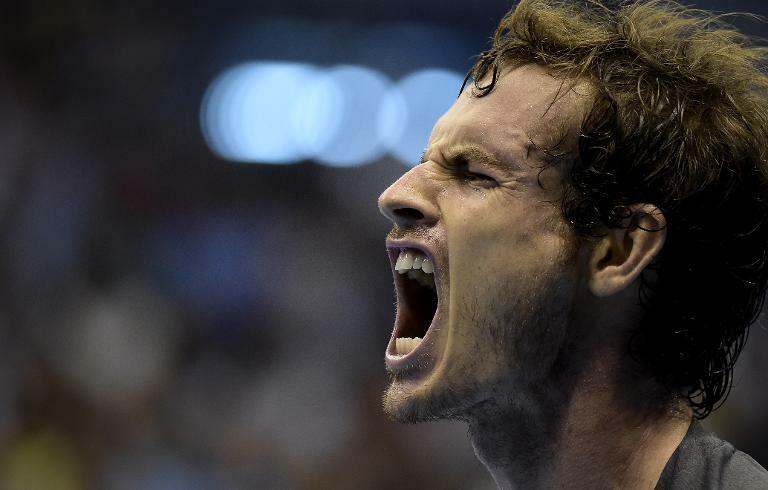 "Unbelievable match, (he's a) great fighter," said an exhausted Murray. "He's 32 now and in unbelievable shape, he's still improving. I don't know what else to say, but I have a lot of respect for you and I'm sorry about today." Robredo, meanwhile, paid tribute to Murray's never say die attitude. "He is so tough, he has more lives than a cat. Players like him don't gift you anything, to beat them you have to play a spectacular match," said the world number 21. Robredo seemed on course for his first title in 15 months as he broke a seemingly shattered Murray twice to take the first set. Murray responded by breaking at the start of the second, but Robredo broke back to level at 4-4 and take it into a tie-break. The 32-year-old had his first two chances to close out the match with two match points when 6-5 and 7-6 ahead, but Murray wasn't to be denied as he eventually levelled when Robredo fired long. Murray was on the ropes again in the deciding set as he cramped up and double faulted twice to gift Robredo the break at 4-3. The two-time Grand Slam champion recovered again, though, to break straight back and Robredo had to save a match point himself when serving to stay in the match. Robredo had three more match points in the tie-break, but Murray battled back once more and he finally sealed victory with a backhand winner.